Depending upon the circumstances, descendants of those who homesteaded on the Great Plains may celebrate the wisdom exhibited by their ancestors coming West or rail at the folly. It was a demanding life. An estimated 60,000 of the 191,064 claims filed under the Homestead Act between 1900 and 1920 were abandoned. In "Blessed to be Western," Swearingen tips his hat to those who "left all their world behind" and made their way West without the benefit of modern navigational devices. He credits them for having sparked in him the desire to ride. "Replanted Roots" is inspired by a sale bill listing Elmer Blake's belongings when he relocated from Nebraska to Oregon to take a job in the shipyards. Blake was Swearingen's grandfather. It was evident from the inventory that the family had worked the land and equally evident they were closing that chapter in their lives. The poem is a poignant glimpse into what would have been found on a Plains farmstead, right down to the milk pail. 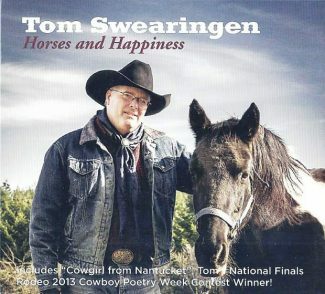 Recorded live, the 12-track Horses and Happiness sells for $15 plus postage at http://www.oregoncowboypoet.com/. If you prefer downloads, they are available at CDBaby and iTunes. 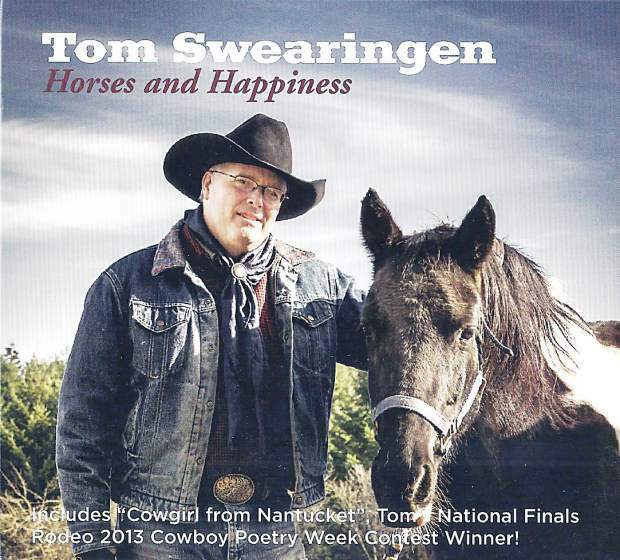 Contact Swearingen at oregoncowboypoet@gmail.com or at 503-936-1621. 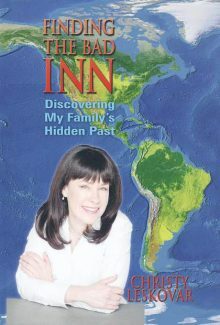 In the October 2009 installment of this column, I wrote about One Night in a Bad Inn (ISBN 978-1-57510-142-2), a mesmerizing family history written by Christy Leskovar. Testament to the adage that truth is stranger than fiction, the project was unleaded when a family member casually mentioned to Leskovar that her great-grandmother Sarah had been arrested for murdering her husband. Sarah would eventually be imprisoned at the Montana State Penitentiary for bigamy, but she wasn't the only family member incarcerated there. Leskovar spent eight years researching and chronicling the mind-boggling account. Her travels, correspondence and research taking her from Butte to Ireland, from Wilkes-Barre, Penn., to the battle fields of France, from the remnants of her great-grandparents' homestead in Rosebud County, Mont., to the penitentiary where both her great-grandmother and great-grandfather served time. And even at that, they weren't the only family members incarcerated there. Quite accurately described by the author, the book is "A lively true story of scandal, war, murder, and mayhem, and courage and fortitude, stretching across the parched plains of eastern Montana to the raucous mining town of Butte (Mont.) to the bloody battlefields of the First World War." A native of Butte, Leskovar shares the story behind the story in Finding the Bad Inn: Discovering My Family's Hidden Past (Pictorial Histories Publishing Co. Inc., 2010, 291 pages, hardback ISBN-13: 978-1575101507). Genealogists, family historians and history buffs will appreciate the methodology that went into gathering the material for One Night in a Bad Inn and understand why some meaty passages were left out. Leskovar shares freely of what she learned through her labors. One tip that I can vouch for is the value of a preparing a timeline showing dates and events in an individual's life. Writers will value the attention to style that made the can't-put-it-down One Night in a Bad Inn a finalist for the 2007 High Plains Best New Book Award for first time authors. Leskovar's engaging style effectively transports the reader to another place and time. For more on both books, see http://www.onenightinabadinn.com/. Finding the Bad Inn is available from online booksellers as an unabridged hardback, abridged paperback, and abridged and unabridged e-books. It also available as an unabridged digital audiobook read by author. Look for it at CDBaby, ITunes, Amazon and other audio sites.